Austintown, O. - *Update 12/1/2016* When I originally posted this in 2011, all I knew about this place was that my cousin applied for a job here, but was never hired. There is far more history here than I knew years ago when I saw they were tearing it down, threw on my hard hat on a Sunday and set out to document it. 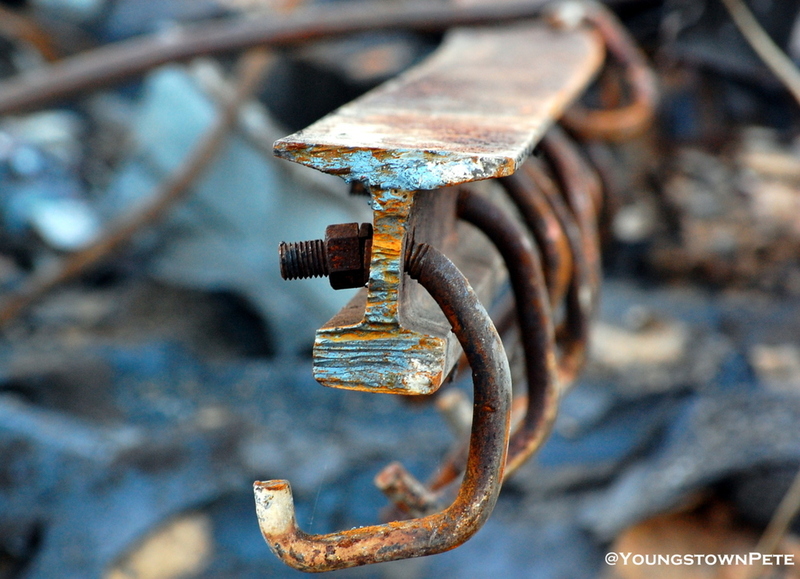 A recent post about wartime production at a neighboring plant http://www.therustjungle.com/rustjungle/2016/11/29/youngstown-steel-door , initialed a discussion on this plant, which was located right across Hendricks Rd. Mackenzie Muffler was a division of Buffalo Pressed Steel, who manufactured mufflers for International Harvester tractors and automobiles for the Big 3. During WWII, Mackenzie also produced fuel tanks, much like their neighbors at Steel Door. Perhaps they worked in conjunction, hopefully someone can shed some light on that. According to the article below they went from 150 employees in 1938 to 3,000 during the war, many of them women. A family friend of ours' mother worked here during the war as a press operator. Below are the images from my original post, taken during the demolition of this plant. 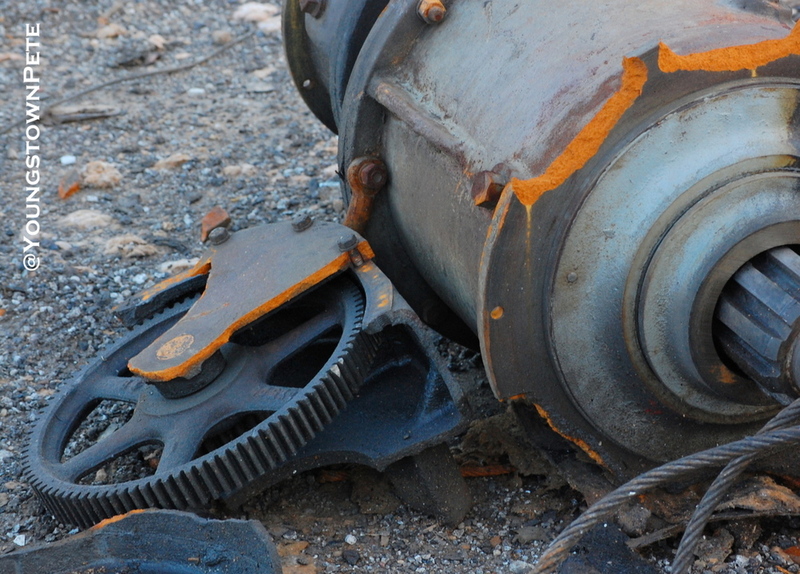 There was a decent amount of equipment left here that they were cutting apart. Presses, shears, cranes etc. 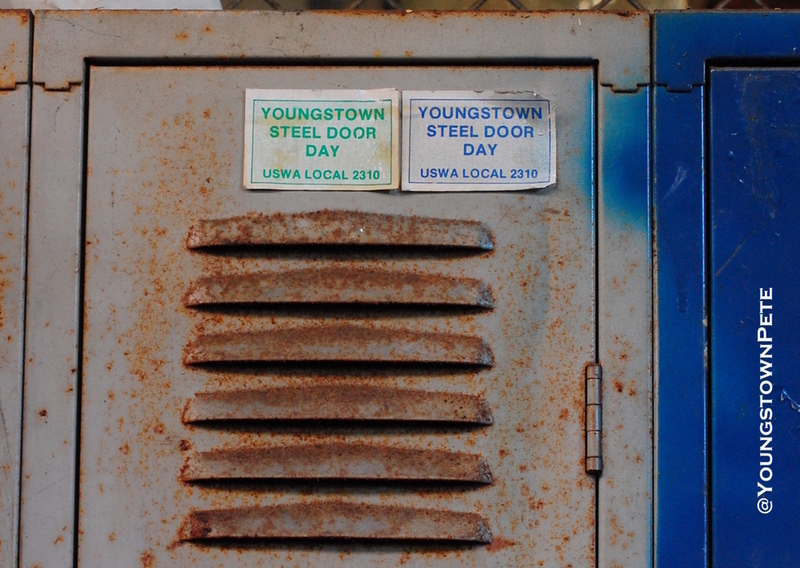 Stickers on one of the employee lockers reference Youngstown Steel Door day, and USWA local 2310 which represented Steel Door and possibly Austintown Tool and Die, not sure about that.